HACKNEY COUNCIL spent less on hospitality in the last financial year than it spent on the salaries of its Top 5. Total cost of hospitality provided in 2014-15 was £145,044, compared with £104,257 the previous year. Jonathan Isaby, chief executive of the right-leaning Taxpayers’ Alliance, told Loving Dalston: “Some hospitality spending will be necessary and Hackney council deserve credit for keeping the costs relatively low. “If it can do more to stem the increases in this budget, that will no doubt please local residents even more.” In “these straitened times” taxpayers wanted their money put towards local services, not expensive receptions. As for parking, Loving Dalston has discovered that Hackney council spent £12,661,284 on administering it in 2014-15, less than in 2013-14, when it was £13,026,743. This gave an income of £20,558,529, which compares well with the previous year’s £18,617,570. The result was a net profit in 2014-15 of £7,897,245, well up on 2013-14’s £5,590,827. The fee paid in the latest year to Apcoa, the multinational to which Hackney subcontracts parking, was £3.76 million, about £200,000 less than in 2013-14. 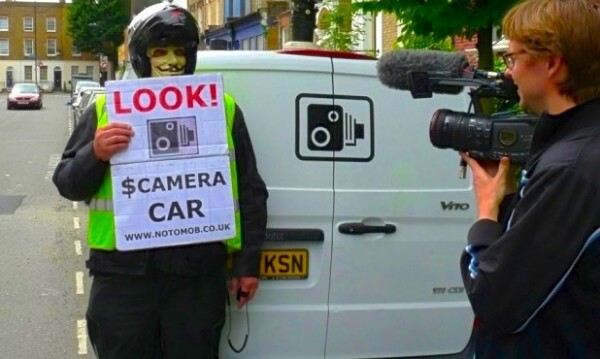 Now you know, if you get a Hackney penalty notice, what the council does with it. Take the bus next time. 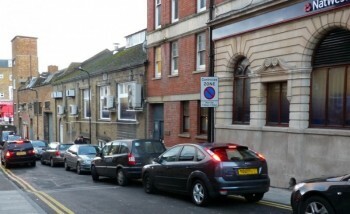 * Main picture: You want free parking in Hackney? Simply place your vehicle on a pavement even if it means crossing a curb (parking officers say they have no information on the issue). * Emboldened underscored words in most cases indicate a hyperlink, a reader service rare among websites.